Opera performances have been popular among the ordinary as well as wealthy people for centuries. Until a couple of centuries ago, opera houses were mostly financed by wealthy people and the rulers. But today they are largely supported by a combination of ticket sales, government and institutional grants, and private donations. 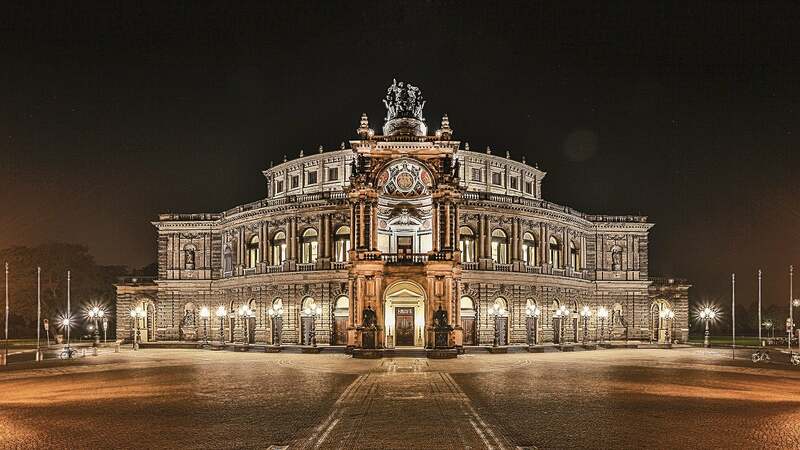 Here we take a look at the top 10 best opera houses in the world that are worth visiting at least once in your life. Even if you are not a big fan of opera performances, you’d want to visit opera houses for the wonderful experience and sheer charm. They reflect our history, architecture, art, and culture. Surprisingly, even the best opera houses in the world are pretty accessible with reasonably low ticket rates. Nicknamed ‘The Met,” it’s located at the Lincoln Center for the Performing Arts, which is also home to the New York City Ballet, New York Philharmonic, two theaters, and a library. The Metropolitan Opera House has a rotating repertoire Monday through Saturday. Its architecture, acoustics, the sight lines are all praiseworthy. It’s also been setting benchmarks with innovation. Opera performances at the Met are presented live in many theaters around the world. It was the world’s first to broadcast opera over the radio more than a century ago. Teatro la Fenice has a tragic history, but it’s one of the most iconic landmarks in the history of Italian theater. It had been ruined three times in its history, and has risen from the ashes every single time. Back in 1774, the San Benedetto theater collapsed and it was replaced by Teatro la Fenice in 1792. Then massive fire burned it to the ground in 1836, and it was rebuilt all over again. Again in 1996, it was burnt down and was quickly rebuilt. Teatro la Fenice retains the grandeur and charm of the original theater. It also offers an audio guide tour. The Royal Opera House is located in Convent Garden, London. Three different theaters have occupied the site since 1732. The current Grade I history building with neo-classical colonnades was a dance hall during Second World War, but became home to the Royal Opera House in 1946. George Handel would write many of his operas for this place specifically. Some of the world’s greats including Luciano Pavarotti have performed at the Royal Opera House. The ticket prices range from as low as three pounds to well above 200 pounds. Teatro Colon was built in 1908 with architecture style borrowed from European theaters. Many of the world’s most famous artists have graced its stage. Teatro Colon holds a special place among opera lovers, thanks to its impressive record of great performances. It also has one of the world’s best acoustics. Luciano Pavarotti once said its acoustics were so perfect the audience could hear even the tiniest mistakes a singer made. Bolshoi – which translates to ‘big’ – has truly stood the test of time. It was founded in 1776, and has survived fires, wars, revolution, and more. Its main building has been renovated and rebuilt several times throughout its history. The latest renovation took place between 2005 and 2011. The Bolshoi Theater’s interior is as beautiful as its exterior. Its iconic neo-classical facade is depicted on the 100-ruble banknote. It’s by far the most famous cultural landmark in Moscow. Built at the behest of King Charles III of Bourbon, it was inaugurated in 1737. It’s the oldest theater still in operation. Gioachino Rossini’s most popular operas premiered at Teatro di San Carlo. It’s been an iconic landmark of art and culture in Italy. Teatro di San Carlo was burnt down by fire in 1816, but was restored to its original grandeur by architect Antonio Niccolini. Tourists are welcome to explore its enormous stage, sumptuous halls, and learn about its history. Sydney Opera House is the most famous landmark not only in Sydney but in entire Australia. It was designed by Danish architect Jørn Utzon and opened to the public in 1973. Opera lovers know it as the home of Joan Sutherland and Nellie Melba. It regularly hosts operas, ballets, concerts, and plays. Even if you are not an opera fan, you should visit it just to see the architecture. It has one of the best acoustics in the world. You just can’t get enough of its grandeur. The Vienna State Opera house opened in 1869 and was inaugurated with a performance of Mozart’s Don Giovanni. Its low tickets rates allow anyone to enjoy performances by some of the world’s best artists. A large part of the opera house was destroyed towards the end of Second World War. The theater reopened after the end of the Russian occupation. Built in 1875, Palais Garnier is one of the most iconic architectural marvels in Paris. Its beauty is further enhanced by the frescos in the center of its ceiling created by Marc Chagall. The grand theater frequently hosts some of the world’s most popular artists. It is also known as the setting for the Phantom of the Opera by Gaston Leroux. However, you have to be careful when buying a ticket because sometimes even the most expensive seats don’t offer full view of the stage. Built in 1778, Teatro alla Scala is by far the most famous opera house on the planet. Its auditorium can host up to 2,000 people. Teatro alla Scala’s neo-classical foyer bears the statues of legends like Verdi, Bellini, Rossini, and Donizetti. For opera singers and composers, performing at Teatro alla Scala is the highest achievement. Its acoustics are also one of the best in the world. There is also the La Scala Museum to walk you through its rich, prestigious, and controversial history.